Who do you hire to work on your property? Finding great tradespeople will ensure that any work done to your property is of the highest quality, and maximises the value added to your property. As well as the added value of quality work, hiring reputable traders will get you fast turnaround times on your investments with minimal hassle, delays and unforeseen extra costs. 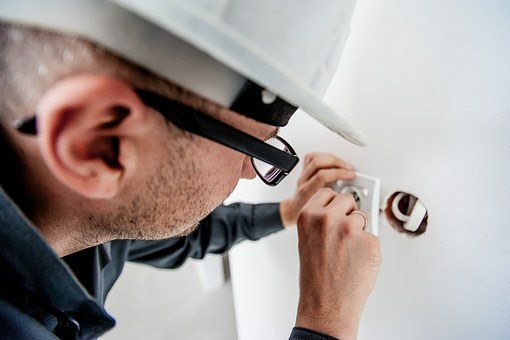 There are some truly fantastic tradespeople out there, however we’ve all heard more than a few horror stories as well. From the undetailed plans get rejected for planning permission to the gas and water pipes accidentally ripped out to flood the house or the extension built on the wrong side of the property, the one factor they all have in common is that they are going to cost you time and money! 1. Is their work of a high quality? This one seems obvious, but you should never sacrifice quality work for a cheaper price. You will only have to get the work done again properly, and a job done right the first time is always cheaper than a job done twice! Our mantra at Premier Property is the more money your spend in a property, the more money you will make from it, as long as there is a return on your investment. 2. Do they turn up on time? Poor timekeeping can delay other work scheduled to take place, and keep your property off the market. 3. How do they handle mistakes? Bear in mind here that mistakes do happen, what you should focus on here is whether a mistake will be fixed promptly or become a headache for you. Let’s dive right in to my 11 essential tips for finding great tradespeople, and avoiding the not so great! If you’re new to property investment, then have a read of my 9 Top Tips For Property Investing Beginners. If you want to learn more about some of the biggest mistakes in the property market, check out this video featuring myself and Anthony Gold Solicitors’ David Smith sharing how to avoid property conveyance mistakes and losing deals. If you want to learn more about some of the biggest mistakes in the property market and how to avoid them, check out this video featuring Premier Property’s Kam Dovedi and Anthony Gold Solicitors’ David Smith discussing how to avoid property conveyance mistakes and losing deals. You have just taken ownership of your new property investment, and now it needs some love and attention to secure the best returns. This article will tell you everything you need to know about where to start, the most important work to consider and where your time and money might be wasted. If you are interested in getting the most value out of your property investments, check out Premier Property’s proven strategy for building a successful portfolio. You NEED to be prepared for these! It may sound obvious, but you would be surprised how many people don’t do this! From friends and family to colleagues and fellow investors, a recommendation from someone you trust can save you a lot of time. If you already have a builder you can trust, might they know a plumber or electrician you can trust? Always be on the lookout for new contacts. ​Once again, you would be surprised how many people look for a new contractor every time they need work done. If someone has done a great job for you in the past, build a relationship with them. They may be willing to offer a lower price or work further afield if they are sure of getting future jobs from you. Save their details in your phone, and keep a spreadsheet with the details of all the work you have done and the details of the company who did it. Next time you need to hire someone, you will be able to tell at a glance if you already know someone in the area and whether you were happy with their work. Looking for more tips on organising the information you have on your property investments? Watch this video where I share exactly how we organise our paperwork and admin at Premier Property. 3. Be wary of cold-callers. ​It may sound harsh, but the simple fact is this is not how reputable tradespeople usually get work. Quality tradespeople are usually booked weeks in advance and have no need to cold-call. Why does this person have so little work that they have time to cold-call? It might be simply that they are just starting up and don’t have the customers coming to them yet, but it could be that they are unqualified, unlicensed or have a history of poor work. Since you know a cold-caller is not busy you may be able to get work done faster or cheaper but you should be extra vigilant when researching their business. ​Sites like Checkatrade.com, Trustatrader.com and MyBuilder.com are great resources for finding someone credible quickly. Read as many reviews as possible and look for trends, good or bad. Social media is another great place to find reviews, with the added bonus that you might be able to contact reviewers directly and verify their review. You can join our Premier Property Community private Facebook group for free, and it is a great place to find out who our property investors and developers love to work with and who they avoid, as well as ask any other questions you need answered about property investment. Some businesses are not above giving themselves glowing reviews via fake accounts! ​There are so many places traders advertise online now, all of which have their own systems for approving and rating traders, which can make them confusing to compare. Worse, for many sites like this tradespeople are their primary customers, and so they have an incentive to give traders the benefit of the doubt when it comes to disputes over payment, poor quality work or moderating negative reviews. TrustMark is a government-approved register listing trusted traders across the UK. There may also be a register local to your area. While you should do all your research regardless, government-approved trusted trader marks like TrustMark are there to tell you at a glance if a company is credible. 6. Get a feel for their past work. ​Most companies will have past jobs and testimonials on their website, and it could be a bad sign if they don’t! You could even visit their previous jobs in person for that extra bit of assurance, or call their previous customers and listen to their experiences. 7. Find out how long a company has been trading. ​If a company has only existed for a very short time, probably they are just new and there is nothing to worry about. In fact, you might be able to angle for a discount as an early customer. Even if the company seems trustworthy, it is very important to find out what you can about any work they have already done. Use Companies House to see how long someone has been trading, and if any other businesses have been registered by the same people. Find out everything you can about them. It might not be likely, but you might just find a string of unhappy customers they are using a new name to hide from. On a more positive note, if they are a well-established business this is a good sign that they are trustworthy. a more positive note, if they are a well-established business this is a good sign that they are trustworthy. ​Aside from giving you an idea of their prices, having a conversation with someone is a great way to get a feel for their work ethic, standards and general attitude. Give a clear, detailed and specific brief to get an accurate a quote as possible. Ask for time estimates as well as price. Specify the materials you want to be used. ​Is cleaning up and waste disposal included? ​What is the breakdown of labour and material costs? ​Who will supply materials and who will pay for them? ​Are additional costs like parking included? Always get at least 3 quotes! 9. Agree a timetable and payment schedule in advance. You want to have this in writing so there can be no disputing it later on. A 5-10% deposit may be requested when the tradesperson will need to buy extra supplies and materials, but otherwise only pay for completed work. If you have done your research it isn’t a problem likely to come up, but if you are not happy with the quality of the finished job, for example, you would want it fixed without further payment. It is a lot easier to make that happen when you haven’t already handed your money over! 10. Tell people you are a property investor. ​Most tradespeople can see the potential for repeat work with a property investor, and may offer better prices or faster schedules to build a relationship with you. 11. Be prepared to provide on-site management. ​Especially in the early stages of a project, you or someone you trust needs to be advising on the work being done. If you hire contractors for a major project and leave them to it with no supervision, don’t be too surprised when the result is not what you wanted! Even the most experienced tradespeople will need to query the odd detail with you. ven the most experienced tradespeople will need to query the odd detail with you. Your research should include arranging inspections and surveys to confirm the property is structurally sound and the services (electricity, gas etc) are in working condition. Be very worried if the seller refuses this! Even if you intend to take on a property that is in bad repair, knowing the full extent of the damage will put you in a stronger negotiating position. Always remember to visit the property at different times of the day and week. Too many investors get their research spot on but miss this detail! · Does the area feel safe at night? · Is it affected by noise from people going into town on a Friday night? · What is the traffic like at rush hour? Being there at the right time is the only way to answer questions like these. You should also think about any work you will have to do at the property before it goes on the market. Even down to a simple fresh coat of paint, it all adds up and you should know how much it adds up to before committing to it! Where possible, try to get quotes for any major work before investing. The first task for any investment is to get the property fully surveyed for any structural damage; you really don’t want the hassle of only finding something like this halfway through a major renovation! All of the cosmetic flaws and faults in the property should be thoroughly investigated as well, as they might be hiding more serious issues. Similarly, check all services such as wiring and plumbing are in good condition. In short, do everything that can do done to be as certain as possible that later work will not be interrupted to deal with these types of problems. Secondly, always take the time to find a great builder for any major project. Ask friends and business contacts for recommendations and use online resources to find tradespeople. Getting a botched job fixed can be expensive and will play havoc with your schedule. This is partly down to you making sure your builders have the right instructions, but having a builder you can trust is one less thing to worry about. Lastly, identify the target market of your property. Think about who is likely to want to live in this area, and in this home. A family with children will want very different things to a group of young professionals, so make sure the property itself appeals to the same demographic as its location. Demonstrating the use of a spare room as a bedroom, office space or home gym to the right buyer helps the buyer visualise the property as a home, increasing your chance of a sale. Get EVERYTHING written down. From initial quotes to receipts and invoices, and every minor additional cost, no detail is too small to leave out. If you always think about the previous 11 points you should have nothing to worry about, but there is no good reason for not protecting yourself with written records! You WILL regret not having these if something does go wrong. Want to know what great tradespeople can do for you? Watch this video where I share exactly how we made £48,000 in profit from just 4 weeks of renovation on a property. One of the biggest financial mistakes you can make is also the most obvious. Make sure you have the cashflow to support the property! Calculating your return on investment is a major part of this, and the only way to reliably compare properties. · Will the property’s income outgrow inflation? Doing all of the above give you an accurate idea of the property’s real worth. If the seller is asking too much and will not lower their price, move on and follow up a few months later. Having made the decision to invest, another massive mistake is to mortgage all your properties through the same lender. This can tie up your money and prevent you from selling, or buying your next property. In addition to ensuring mortgages are suitable for your strategy, buying rate and portfolio, keep mortgages as separate as possible. Debt repayment is another that can trip up new investors. Certain debts can have benefits for investors such as being tax-deductible or boosting credit rating and can actually be used to help build a portfolio. Tempting though it is, don’t clear off all your debts immediately. Consult a financial expert to build an advantageous debt repayment plan. Another big mistake is not getting a depreciation schedule. This might set you back a few hundred pounds, but it will save you much more. A depreciation schedule outlines how your assets will lose value over time and maximises your claims for those assets. Remember to get the property surveyed again after renovations and refurbishments! Now that the groundwork is done, let’s talk about making some improvements to maximise your returns. A new kitchen can greatly improve the likelihood of a sale. The kitchen is one of the most important rooms in the property for many buyers, and is usually the first room a new owner will look to refurbish. Save them the hassle and provide a modern, attractive kitchen they can start using straight away. The prospect of having to handle a major renovation themselves can put off even the keenest buyer! The average kitchen costs around £8,000, and adds 6% in value to the property. If you can do it without eating into living space too much, creating a new bedroom can add significant value. A loft conversion could cost between £20,000 and £40,000 depending on the scale, and can add as much as 10% to the value of the property. Make sure your insurer knows about the changes! Adding a bathroom can be a great way to improve the value of a property, especially en suite bathrooms. A new bathroom could cost between £3,000 and £6,000, and will increase the value of your property by up to 6%. As a general rule, try to maintain a ratio of at least one bathroom for every three bedrooms. Extensions can also be a worthy investment; just make sure they add a decent amount of space, and don’t clash with the original construction. Conservatories are a fairly common extension which can add up to 5% to the value of the property, as long as you don’t take up too much garden space building it. Expect to pay between £4,000 and £10,000 depending on the design. For smaller conservatories you may not need planning permission, which can reduce costs. Almost two thirds of garages in UK homes do not contain a car, so converting wasted garage space into living area can be a very cost effective way to add value to a property. You might not need planning permission for this, but you will still need to comply with building regulations. Though garage space does not appeal to the majority of buyers, parking space does. If the property allows, the cost of turning an unused front garden into a parking space large enough for two cars is around £10,000, and in areas where parking space is at a premium could return double that investment. In many cases, you will pay a steep price upfront, which is in fact being used to subsidise that fantastic-sounding guaranteed income. Once the guaranteed income period ends, many investors find the profits dry up and all that is left is the sinking realisation they have been getting paid with their own money! Student pods are also exposed to a high degree of development and management risk, so do your research on everybody involved in the deal, and make sure they know what they are doing and have the track record to prove it! Student pods can be unpopular with money lenders, who also have concerns with the re-sale and long-term tenancy prospects with this type of property, as they don’t have a great deal of appeal outside of the student property market. Investing in clusters of apartments, particularly those within halls of residence, offers more realistic and reliable returns, but they can be hard to get your hands on as they are usually owned by university institutions. If you spot an opportunity to acquire a property like this, don’t delay! Some of the most expensive mistakes are made during the renovation and refurbishment phase. Do not underestimate costs here, particularly as a new investor. If you already have a few investments under your belt you will have a better picture of likely costs, but you should also know it is always best to plan costs with a wide margin. Never forget to check building regulations! Depending on the work, compliance issues can be expensive to fix. If you find yourself in that situation, get your information from as high an official as possible before paying for the fix, as it is possible to get conflicting guidelines. When it comes to getting the work done, hiring unlicensed contractors is always a bad idea. Always work with licensed and insured contractors, and the contract for any major work should be checked over and confirmed by an attorney. Don’t expose yourself to the risks of poor craftsmanship, reliability and insurance issues just to pinch a few pennies; you will pay more in the long run! I will be sharing with you the methods I use for finding reliable tradespeople in an upcoming article, watch this space! You can’t always blame it on the builders though! In many cases, the cause of a mistake is lack of proper oversight at the property. Be there on-site to advise your builders and check their work, or hire a manager to do it for you. One last point - unfortunately, some contractors will simply quote whatever they think you will pay. Always get multiple quotes, and an independent assessment is ideal. A House in Multiple Occupancy (HMO) means each bedroom in the property is let individually to tenants, giving you much higher rental yield than a comparable to-let property. You need a license to make your property an HMO. In some areas councils are trying to cut back on the number of HMO licenses they give out, so it pays to look into this before making an investment! There are retail funds available for this type of student accommodation; however these can involve a little risk as these funds are often based offshore and unregulated, with high charges and poor liquidity sometimes making it difficult to get your money out when you want to. Thoroughly research the companies involved and make sure you fully understand what you are getting into, get someone to help you with this if you need to! If you want to get started investing in HMOs, or you already are, don’t miss the Premier Property Club event covering the major legislation changes coming October 1st. You NEED to be prepared for these! · Keep original and interesting features. Memorable quirks like wooden beams, vaulted ceiling and frameless conservatories give the property character and make it stick in the minds of potential buyers. · Update the property with modern heating and double-glazing – just don’t get rid of those period windows! · Remove ugly or outdated features such as textured wallpaper and ceilings. · Get planning permission. It reassures potential buyers and costs around £300. · Convert the basement. It doesn’t appeal to a lot of buyers, costs upwards of £300 per square foot, and will require the organisation of multiple specialists. · Spend too much decorating and refurbishing bedrooms. While the number and size are important, a well-decorated bedroom is not likely to greatly raise the price or improve chances of a sale. · Spend too much on furniture in general. As long as furniture is in good condition and suits the property, that time and money is better spent elsewhere. · Outgrow your area. By pricing out most of the people looking in your area, you risk having a vacant property on your hands, or making a loss on the deal. Stay within the means of your target market. Assessing demand for student property could not be easier, simply investigate the number of students attending college or university there and the number of properties available for students to let. The government currently invests the most funding into accommodation for universities focused on science, technology, mathematics and engineering, as well as universities accepting large numbers of overseas students, so you can save time by focusing on these areas first. It is worth noting that any property in London will require a significantly higher initial investment than other properties, although high demand means it can be worth the extra cost. As most students do not own a car, arguably the most important factor when choosing a student property is its location. Students will pay a lot more in rent for accommodation within 20 minutes’ walk of the university. Would I want my kids living here? If the answer is no, you will probably have a tough time getting tenants. Students need a fast and reliable internet connection and will often ask about this. Offering a good subsidised or inclusive internet package is a major bonus that will make you stand out. Try to avoid locations where internet is poor, a quick Google search for speed and reliability should tell you all you need to know. When it comes to the property itself, try to focus the search on properties with large kitchen and lounge areas as these appeal the most to students. As a general rule, students don’t care about gardens - so don’t invest in one. They can be costly to maintain and won’t add much value. The basics of managing a student property are the same as any other property, but there are a few extra things to think about here. Make sure the property is clean, well-maintained and has robust furniture and fittings, as students are capable of inflicting significant wear and tear on a property. You will probably be re-decorating on a pretty regular basis so keep it simple and don’t splash out. On that note, ensure the landlord’s insurance has good cover for damages. Although the parents or guardians of students usually make reliable guarantors, make sure the insurance also covers lost rent. Time-saving kitchen appliances such as a microwave and dishwasher add a lot of appeal to a student property. Renting through a lettings agent rather than privately is generally a good idea as you will have the assurance of knowing your tenants have been referenced and credit checked, as well as reducing the amount of hands-on time you have to spend finding new tenants each year. Students are usually pressured by their universities to find the next year’s accommodation before Christmas, but many savvy students know to avoid the higher prices of the ‘Christmas rush,’ so advertise your property throughout the year. Although some improvement will be seen on the interest rates of savings accounts, there will not most probably be any major increases, as banks tend to utilise such rate rises to widen their interest margins and profits, and are usually slow to reflect base rate increases in the interest rates of their savings accounts. The price of the Pound dropped sharply after the hike announcement, however this can be expected to bounce back to its pre-hike position as the anticipated change will have been priced in and accounted for by traders. Finally, it is important to remember that outside of the property market in London, the base rate increase can be expected to be of minor impact, for a number of reasons. Firstly, the rate increase has been anticipated for some time and the affected markets have largely already taken it into account in advance. Secondly, although this hike is a nearly unprecedented fifty percent rise, 0.25% is a relatively small increase considering the length of the freeze on rate increases and the 6% base rate that was in place before the financial crisis, and the banking sector has been keen to iterate that the increase represents a reflection of the UK’s improving economy rather than an alteration to it. Thirdly, with so much dependent of the still uncertain EU trade deal, many markets, the property market included, are likely to reserve major changes for once a definitive deal has been announced, or at least the lack of a deal has been definitively announced. Kam Dovedi is a leading UK property expert. Known for testing, taking underperforming strategies and accelerating them, and teaching people how to create their own personal wealth, he has become the 'go to' person for investors and developers that would like to create, grow and accelerate their property investing and developing. Having been a property investor and developer for over 28 years, and having successfully implemented (and still does implement) a range of strategies from: buy to lets, HMOs, Permitted Developments, New Builds and Commercial Conversion means he has built-up a significant Multi Million Pound Property Portfolio. Kam passes his information, knowledge, and experience to his mentees in the Premier Property Inner Circle and people who read resources and attend training by Premier Property Education.